Órla O’Connor of Dunmore Rd. 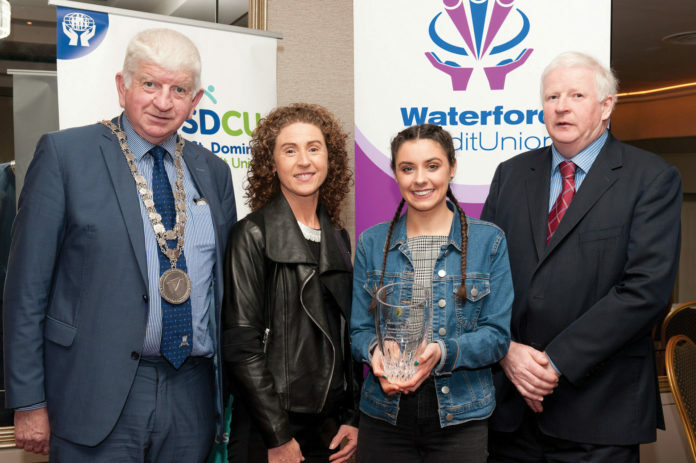 and a member of Waterford A.C. was announced the Supreme Juvenile Athlete of the Year 2018, sponsored by the Combined Credit Unions of St. Dominic and Waterford, pictured from left: Cllr. Declan Doocey, Mayor of Waterford City & County; Cáit Caulfield, coach; Órla O’Connor and John McGrath, County Board Chair. At a function in The Tower Hotel Waterford on Friday last February 22nd The Combined Credit Union Supreme Young Athlete of the Year Award went to Órla O’Connor from Waterford AC. During 2018 Órla who mixed running and race walking was 14th in the World Junior 10km Race Walk setting an Irish junior record, she also won International walks in Isle of Man and Slovakia,and junior,under 19 and schools race walking titles. In running she was the leading runner on the Waterford AC teams that won the All Ireland u19 and u 20 X country Championships Present at the Ceremony were the Mayor of Waterford Cllr Declan Doocey and the Lady Mayoress, John Mc Grath Co Board Chair,coaches and parents. The Mayor complimented the twelve monthly winners present also and Waterford Olympian Brendan Quinn was guest speaker whose words of advice to the young athletes were excellent. Damien Tiernan was a fine MC for the Ceremony and he introduced each monthly winner and gave their performances. Linda O’Kane from the Credit Unions said they were proud to sponsor the event over the years and will continue. 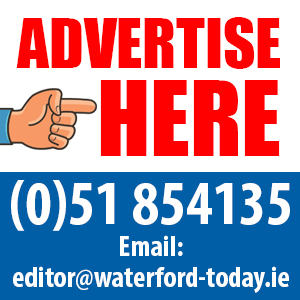 Monthly winners came from Waterford AC,West Waterford,Tramore, St Senan’s, Kilmacow and Ferrybank.